Most current weight management programs provide inadequate counseling skills and other resources. In addition, there is a lack of patient education and follow-up resources. 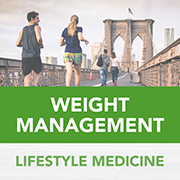 Increased health professional counseling on weight management strategies followed by appropriate multidisciplinary care for long-term implementations is necessary for success.